The Acorn marketing agency is to hire another 100 people, while new 218 positions are being backed by Dublin Business Innovation Centre-backed firms. MORE THAN 300 Government-supported jobs are being confirmed for Dublin today, in two separate announcements. Marketing agency Acorn has confirmed it will grow its headcount from its current level of around 100, to 200 staff over the next five years. 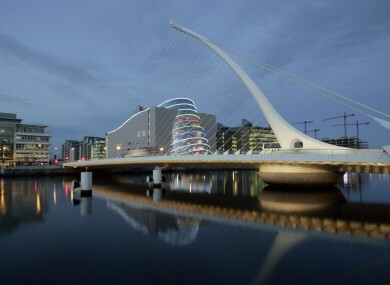 The firm was acquired by US marketing giant Epsilon last year, and the company’s Dublin office has been designated as a “creative services digital hub” for all markets outside North America. The new jobs will be in management, HR, IT and finance roles, while Acorn will also be seeking to hire people with creative and digital design, planning, research and campaign production skills. Welcoming the announcement, Jobs Minister Richard Bruton said that “seeking to deepen and develop the impact of multinational companies based here” was a major part of the Government’s Action Plan for Jobs. Acorn currently occupies a period office building in Dublin 4, and is now seeking additional office space as it plans its expansion. Meanwhile, 218 jobs supported by Dublin Business Innovation Centre-backed firms are set to come on stream over the next 12 months. The Taoiseach will make the official announcement at a function later today. The positions will be created across a range of entrepreneurial firms including Davra Networks, EmpowerTheUser, iCabbi, Learnosity, MMSOFT Design, OpenJaw Technologies, Point of Care, Stratus5 and SafeFood 360. The Dublin BIC is a public-private business organisation that works with state agencies and private sector investors to support entrepreneurs. This article was originally posted at 8.30am. Email “Over 300 new jobs announced for Dublin”. Feedback on “Over 300 new jobs announced for Dublin”.